Now that all the work inside our house has been completed, we are turning our attention to the outside. We did some work in November and December, but not much. Now that winter is over it is time to make the outside part of our property look nice. Our place is called the Grand Oak Manor. The oak tree in our front yard is huge and old, the oldest of its species in Nova Scotia. 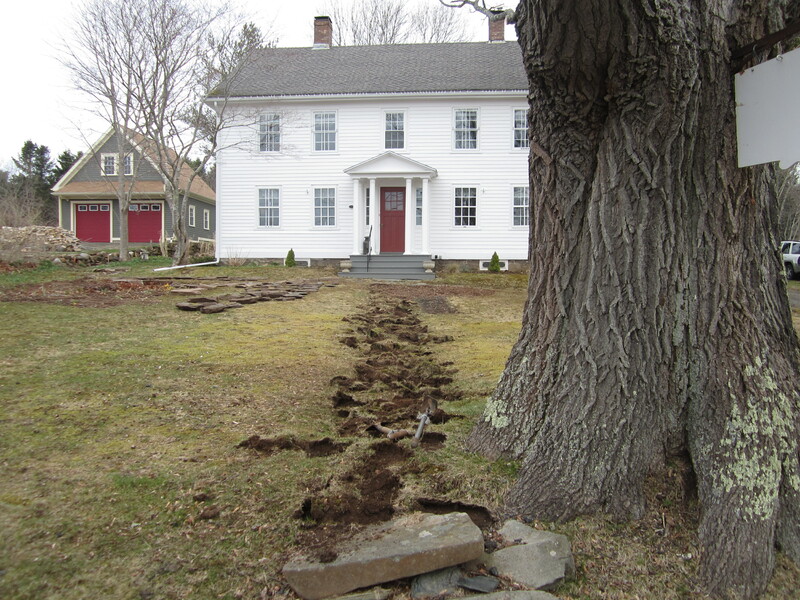 The house was built sometime between 1760 and 1826, and we estimate the tree to be older than the house. 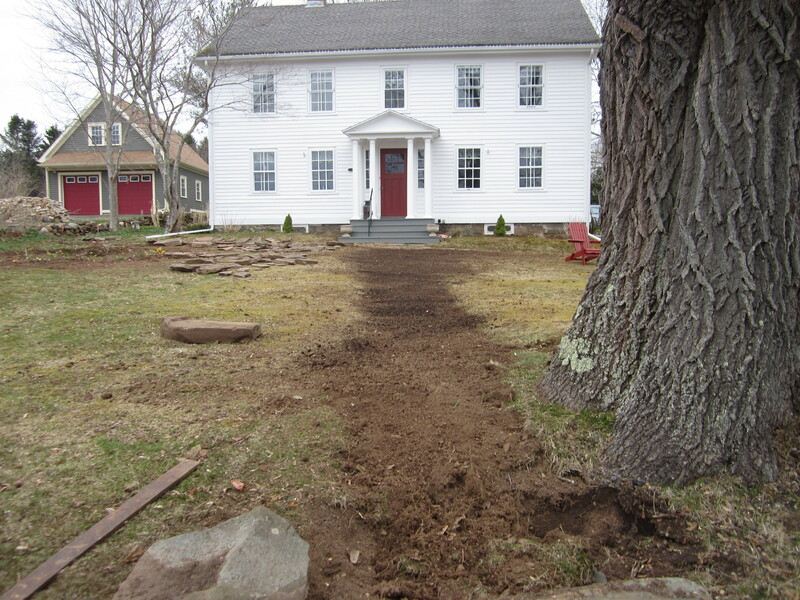 When the house was built, a walkway of flagstone was laid from the front porch to the road. Beside the walkway was the oak tree. In the 200 years (or so) since then, the tree has grown and pushed the stones aside, not just the flagstones, but the very big and heavy stones that were steps as well. It was our idea to remove the entire walkway and replace it with grass. Yesterday we tackled that project. 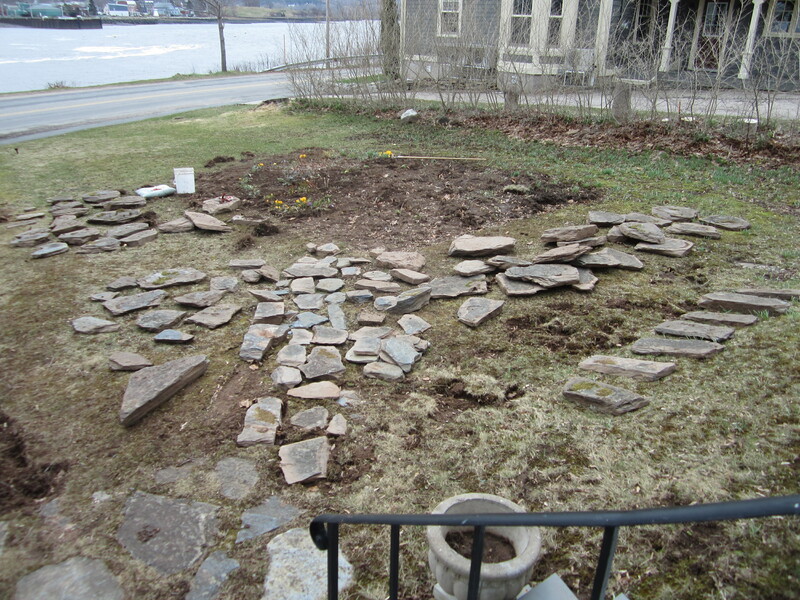 We removed a few stones last fall, but yesterday we took out all the stones. We set them aside to be used for a patio/sitting area to the side in the front of our house. After the stones were taken out, we had to turn the left over sod over, and make it somewhat level. 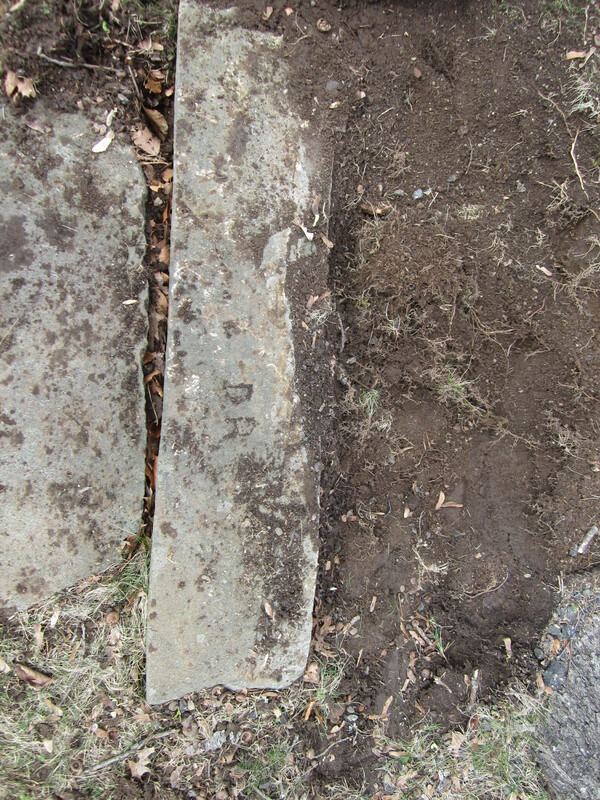 When I was digging the sod out, I found three stones that I had missed. They were buried under two inches of soil,, and had healthy grass growing on top of them. Then we dug soil out of where the patio will be, and used that topsoil to raise the level of where the walkway was. Finally we put grass seed down. The weather forecast is for rain the next four days, and we wanted to take advantage of that for the grass seed. There were four stones that were steps. I did get two of them out. The second step had someone’s initials engraved in. It seems that over the years of people living here, there is always someone who wants to leave his mark. By the end of the day we had accomplished what we set out to do. Now we need some rain, not usually a problem in April.